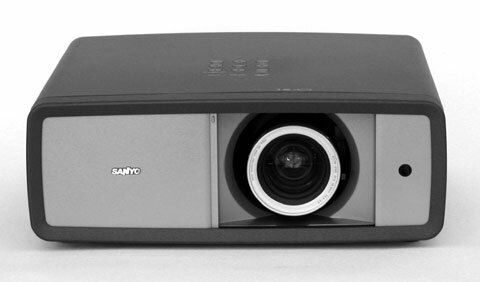 Sanyo has just begun to ship their latest high performance 1080p home theater projector, the PLV-Z3000. 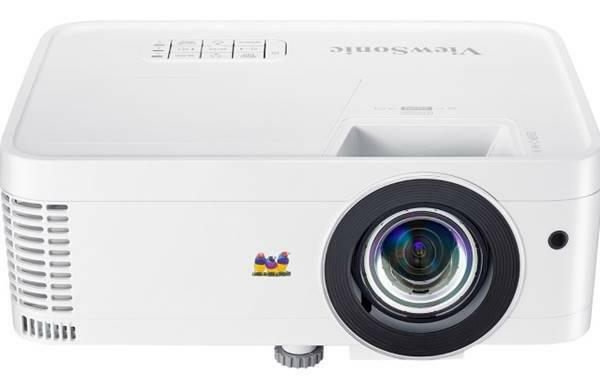 Not only does this projector offer improved contrast over last year's popular Z2000, but the big news is that it is the first home theater projector under $10,000 to offer 5:5 pulldown. What's the benefit of 5:5 pulldown, you ask? Well, 5:5 pulldown is a way to eliminate judder that is a by-product of the 3:2 pulldown conversion required to convert 24 fps film to 30 fps video. This occurs in the NTSC world of 60 Hz power, and is not relevant to those living in countries using PAL or SECAM. In addition to 5:5 pulldown, the Z3000 also includes a new Smooth Motion system which can be activated or not at the user's option. Smooth Motion is Sanyo's name for frame interpolation. It evaluates the motion changes in two sequential frames of film or video, and generates an interim frame that results in smoother motion when the camera is panning, or when an object is moving across the screen at a moderate rate. None of the other 1080p projectors released thus far offer 5:5 pulldown, and few offer a frame interpolation system. So let's take a closer look at the Sanyo PLV-Z3000, with special attention to these important new features. Light Engine: 1920x1080, native 16:9, 0.7" inorganic LCD panel, with 165W UHP lamp. Connection Panel: Two HDMI 1.3 ports, one VGA port, two YPbPr component inputs, s-video, component video, one RS-232C port. Lens and Throw Distance: 2.0x manual zoom/focus lens with vertical and horizontal lens shift. Replacement lamp price: About $300 street price. Thanks for the review. The review says that in "Living and Dynamic modes there is some unobtrusive fan noise". Is this in full lamp mode or low-lamp (Eco) mode? I am trying to work out the right balance between light output with as little noise as possible for a 92" 0.9 gain white screen with a 3.4m throw. ie one of the "Cinema" modes in full lamp mode or "Living" mode with the bulb in eco mode. Thanks again. As with the PLV-Z2000, you CAN customize the names of the 7 user image modes. Instructions are on page 39 of the PLV-Z3000 manual. I have a PLVZ 3000, ceiling mounted at 15' shooting on a 120" diag gray high contrast screen. It is an incredible high def picture. I am running both sat tv and blu-ray through a single HDMI cable. The 2" conduit should work. I have the PLV-Z3000 @ 10ft ceiling by 12ft long room on a 100" elite screen. the image easily could handle a 110" increase from those deminsions. It has great picture clarity, but agree you have to adjust the presets to make it really stand out. However, the best projector when comparing capability and price, expecially compared to the price of the mits and sony. I'm considering replacing my Sanyo PLV -70. I have a 131'width screen. Will The Plv Z-3000 project a bright enough picture in a dedicated theater room where light can be controlled? I have the sanyo PLV2000, and love the thing. I only see the odd jitter from sources on my 1080I toshiba HD player, and those are always on DVD extras, and always from TV shows. So the judder caused by camera move speed...well, it makes me think of when the moon bus in 2001 travels along a line...and it jitters...and also when you see the Aries 1B in 2001 land on the moon, viewed from below, and the claw like opening sections are pulling back as it descends finally below the moon surface in a side shot. I'd love to see the jitter judder removed in these scenes. These Sanyo's are amazing...and BluRay sources upgrade the image so much, it's like watch a 20,000 buck Ronco projector....especially Dr. No, or North by Northwest...being able to easily see different color skin tones in each actor. Some of these movies look better now than when they first came out. And isn't it great to watch a film at home and have no fall off of focus in parts of the screen, the way it still happen in theatres? Even Avatar looks better at home, because you loose contrast and saturation in large 3-D theatre presentations, and adding a touch of sat to Avatar is very pleasing. A Knockout. Hi I have projector PLV Sanyo Z3000. Suddenly it stopped working, no indicator, nothing. I have checked cables, connectors even fuse inside the projector, but still nothing. The Bulb life was 2500 hours when I have last checked. What could be wrong?